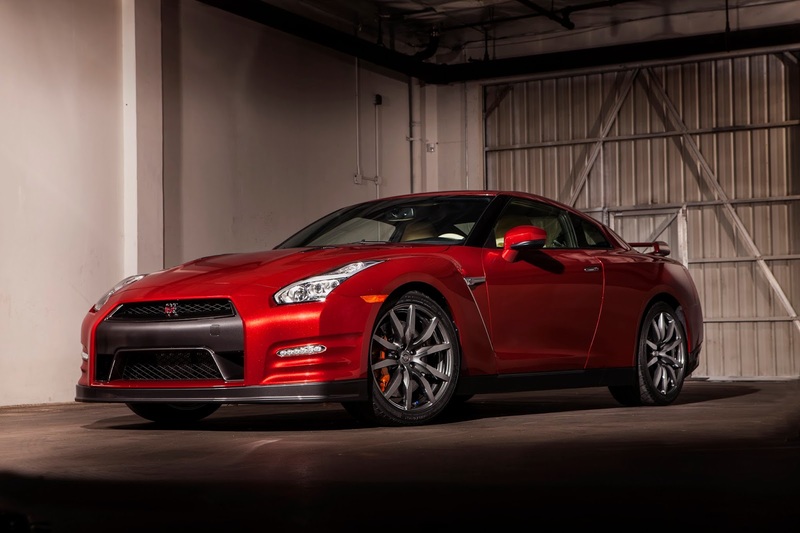 Nissan has released pricing on the 2015 Nissan GT-R, Premium, Black, and Track Edition. No official word on the NISMO pricing yet. Starting at $101,770 for the Premium, $111,510 for the Black Edition, and $115,710 for the Track Edition. If we were to guess, we would say that the NISMO will come in just under $150,000. 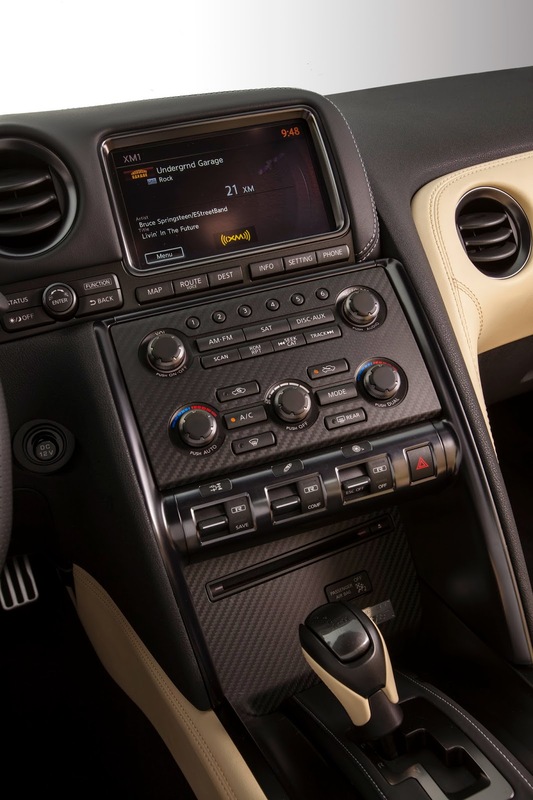 NASHVILLE, Tenn. – Nissan North America, Inc. (NNA) today announced U.S. pricing for the 2015 Nissan GT-R Premium, GT-R Black Edition and GT-R Track Edition*, which have received a number of important performance, exterior and interior enhancements for the 2015 model year. The changes are designed to give GT-R a more refined look and feel without sacrificing one bit of its legendary performance. The GT-R Premium and GT-R Black Edition grades are on sale now at Nissan dealers nationwide. The GT-R Track Edition and a fourth grade level, the new GT-R NISMO, are scheduled to join the lineup in summer 2014 – with GT-R NISMO pricing to be announced closer to that time. For more information on the GT-R NISMO, please see NissanNews.com. While the 2015 GT-R maintains its position as one of the most striking supercars in the market today, an update to the GT-R's lights enhances its visual impact. The new, efficient multi-LED headlights create a distinctive GT-R "lightning" motif, generating a bold exterior visual signature. The new four-LED headlights feature an Adaptive Front lighting System (AFS) that automatically adapts the angle of the light beam at high speeds. At the rear, the GT-R's distinctive four-ring taillight signature now forms coherent circles of illumination, giving the GT-R an equally distinctive rear appearance. 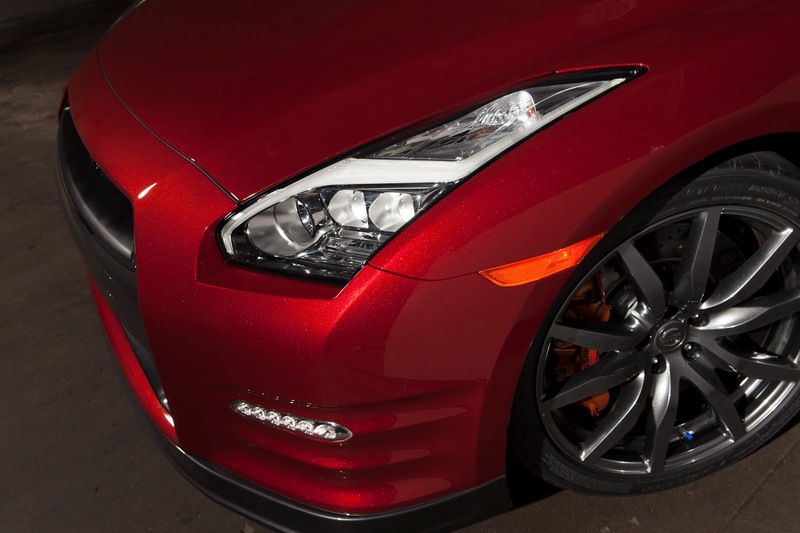 The 2015 GT-R also adds a new exterior body color – Regal Red with highlights of real gold flakes for added brilliance. A lightweight carbon fiber trunklid is added to the Track Edition. Another significant enhancement for 2014 is the addition of the new Bose® Active Noise Cancellation system tuned to reduce engine booming sounds (standard on all models), which, in conjunction with additional sound insulation, helps lower NVH and enhance ride comfort. Chassis enhancements for 2015 are balanced between the suspension, steering and braking systems and tire design. While chassis development has been ongoing since the GT-R's introduction, the sophisticated 4-wheel independent suspension has been fine-tuned to reduce load fluctuation between the four wheels, giving better handling and more consistent grip. The tuning of these parts helps enhance road holding capability, resulting in a poised, confident ride and outstanding traction on rough roads. The reduction in minute vibrations and road noise helps provide a more relaxing, comfortable ride. All 2015 Nissan GT-Rs are again built on an exclusive Premium Midship platform, which enables the use of the unique independent rear transaxle ATTESA E-TS all-wheel drive system. And while the upcoming GT-R NISMO features a range of unique engine modifications, the 2015 GT-R Premium, Black Edition and Track Edition once again are powered by a potent 545-horsepower advanced VR38DETT 3.8-liter twin turbo V6. Torque is rated at 463 lb-ft. Fuel economy is rated at 16 mpg city and 23 mpg highway. The VR38DETT V6 is backed by an advanced paddle-shifted sequential 6-speed dual clutch transmission, which can be driver selected to shift at race car-like speeds. Along with GT-R Premium model, the GT-R Black Edition includes special lightweight black aluminum forged RAYS® wheels, unique red and black interior, Recaro® leather-appointed seats and a unique dry carbon fiber rear spoiler. The limited-production Track Edition (late availability) is designed to take the legendary street supercar even closer to a pure motorsports competition machine. It features a specially tuned suspension, special brake cooling guides, front spoiler with carbon fiber air ducts, special blue-trimmed high-grip seats and, new for 2015, a lightweight carbon fiber trunklid, heated front seats and the addition of rear seats.